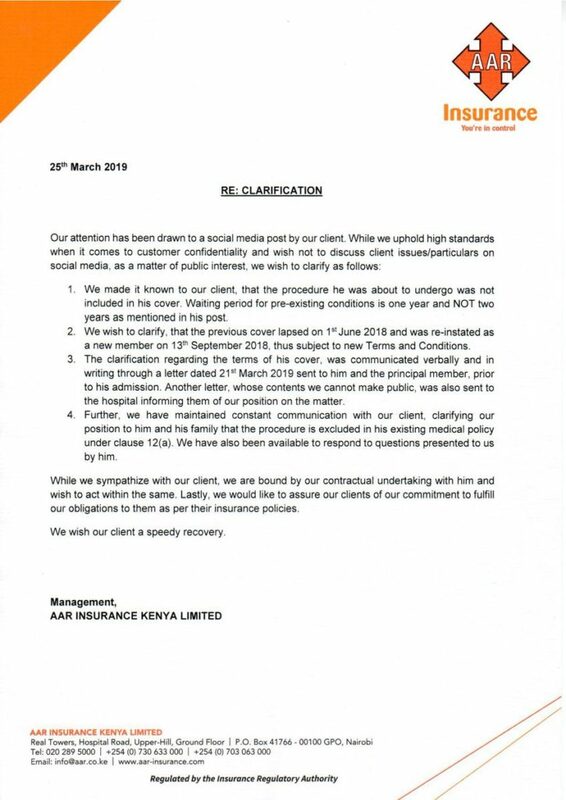 Health insurance company – AAR – has responded to damning allegations made by activist Boniface Mwangi who accuses the insurer of fraud and giving him the runaround with regards to his surgery on 22nd March. 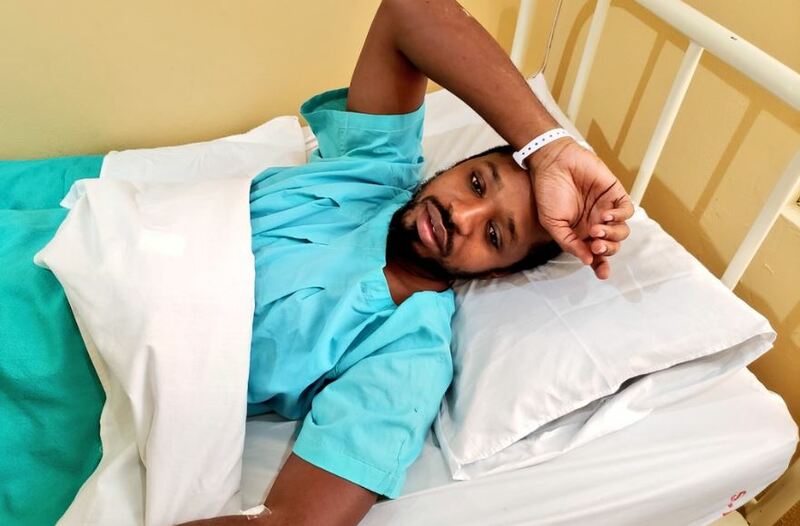 In a long post on social media, Boniface Mwangi alleged that AAR had agreed to cover the costs of the surgery to remove a cyst on his left breast. However, the night before the surgery, Mr Mwangi received a call from an AAR staff who informed him that they would not pay for the surgery. “The night before the surgery, on 21st March, I received a phone call from a Ms. Sheila Mbogo, informing me that they were not going to pay for my surgery, as they considered the cyst to be a pre-existing condition, for which the waiting period is two years. TWO YEARS! She further stated that l was a new client. Why? Well, last year my cover lapsed for 3 months, and at the point of renewal, the insurance claims I was considered to be a new member,” Mwangi wrote in part. According to Boniface, he was lied to by three AAR employees about the terms and conditions of his insurance cover. But in a rejoinder, AAR says they informed Boniface Mwangi that the surgical procedure was not included in his cover. They also allege that the waiting period for a pre-existing condition is one year and not two as claimed by Boniface Mwangi. Read Boniface Mwangi’s full story below.